If you follow me on social, you’ll probably know that I’m fortunate enough to be freelancing at an office based right in the heart of Soho at the moment. I say fortunate. Fortunate for my appetite and Instagram feed. Perhaps, not so fortunate for my bank account or waist-line! It’s a small sacrifice to make though as having an office positioned right next to two of London’s best street food markets has elevated my boring desk lunch to absolute goals over the last few months! 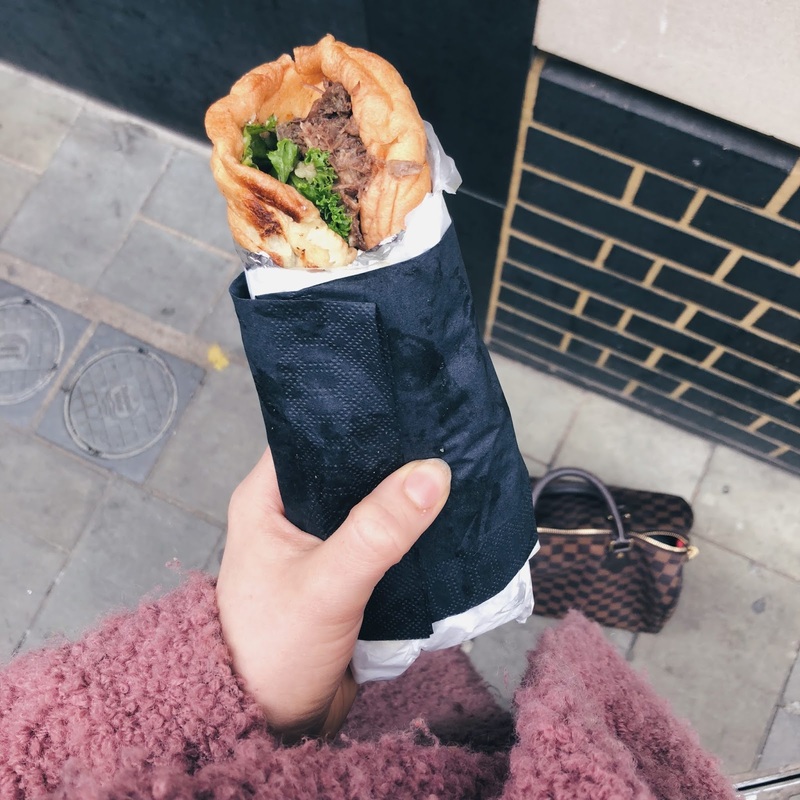 I’ve been sharing the snaps of my lunches across Instagram but thought it might be handy to round up my favourite vendors from Berwick Street Market and Street Food Union on Rupert Street so when you next find yourself hungry in Soho, you’ll know exactly who to hit up! Now don’t switch off just because I’ve said salad – because boring lettuce, this place definitely aint! It’s my absolute go-to lunch place at the moment. For £6, you get a box stuffed with four different types of salad, halloumi and chicken and it tastes incredible. Not only is it pretty balanced nutrition-wise, it’s also super filling and well worth the queues! Oh - and I definitely recommend paying an extra quid for a spoon of their creamy houmous too! Delicious! Now to call this one a ‘salad box’ is a slight stretch because this place is essentially serving Nando’s in a box. For £6, you’ll get yourself a carton filled with spicy chicken, humous, puy lentils, beetroot, kale & radish along with a Yumchaa green tea & mango coleslaw and slabs of sesame roasted sweet potato. It’s super saucy and filling and I’m just going to continue to believe it’s ultra-healthy too. Probably my favourite Friday lunch vibe. It’s essentially a fried chicken shack, serving up some of the best wings in London. You can choose between five of their signature sauces to coat your chicken – each named after a different US state…think classic Buffalo or Smokey Memphis BBQ. It’s a little pricier than other places - £8 for a tray of wings + chips – which is why I save it for Friday treats, but it’s well worth the pennies. You can find them down on Berwick Street Market. A whole roast dinner wrapped in a Yorkshire pudding - I mean, it’s the stuff of hungover dreams right? For £7.50, these guys are serving up braised rare breed beef brisket (try saying that after a drink) soaked in red wine gravy with sage & onion stuffing, rosemary roast potatoes, spinach and horseradish – all encased in a fluffy Yorky pudding. Dreamy. Another absolute salad box gem from Street Food Union – and this one actually qualifies as a salad! Varley & Crouch create incredible street food dishes using fresh ingredients and seasonal produce, imported directly from Italy. You can pay £6 for a small box or £8 for a large box and get a delicious combination of Panzanella salad (with charred tomatoes and fresh mixed herbs), minted white balsamic cucumber, heirloom tomato & black olive salad, grilled lemon & basil courgettes and your choice of Handmade Buffalo Mozzarella or Organic Tuscan Sausage. Super fresh and so delicious. Now this last one doesn’t look the prettiest, but I promise it tastes banging! For £6, you get a huge box (or wrap) filled with vibrant salads, pickles, houmous, tzatziki and four homemade falafel balls. It’s full of fresh flavour and texture – and completely vegan and veggie friendly too! Which do you most like the sound of? 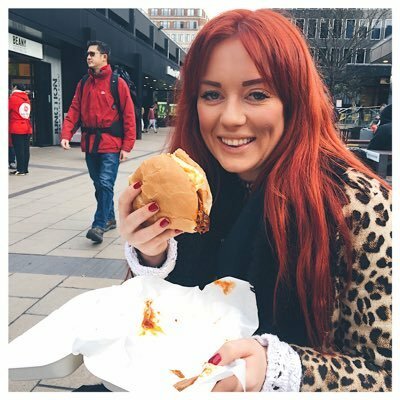 Any other Soho Street food recommendations? Ooh Savage Salads is tingling my taste buds! It's great that you have so many cuisines and independent businesses almost on your doorstep, I don't blame you for making the most of them.